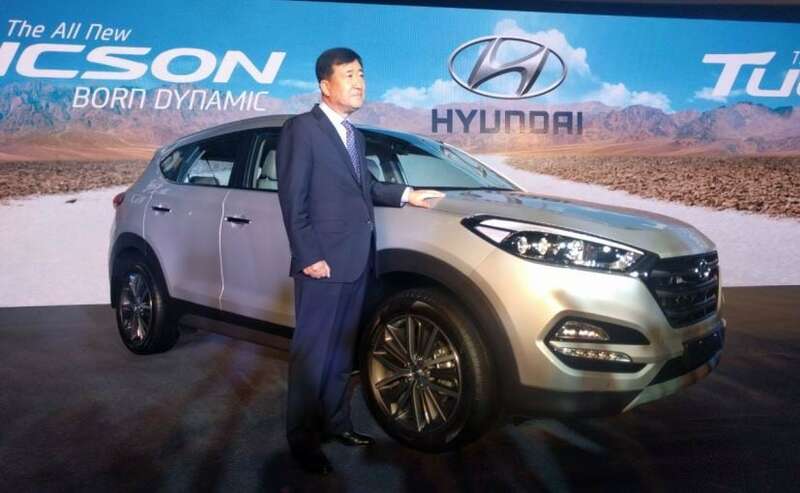 Hyundai Tucson, the popular premium SUV from the South Korean carmaker today finally went on sale in India at an introductory price starting from ₹ 18.99 lakh to ₹ 24.99 lakh (ex-showroom, Delhi). 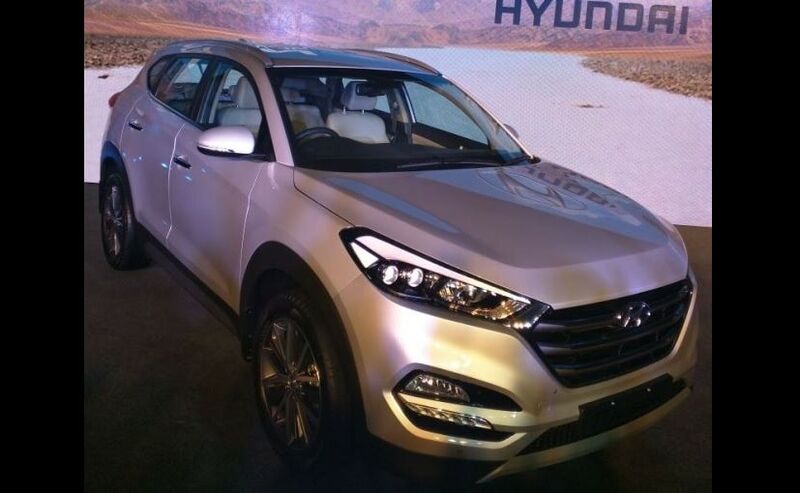 This is the third generation Tucson that has come to India and the car has been positioned between to Hyundai Creta and the car maker's flagship SUV Santa Fe. The car comes in both diesel and petrol options and will be offered in three trim levels - 2WD MT, 2WD AT GL, and 2WD AT GLS. In India, the new-gen Hyundai Tucson will compete with the likes of Honda CR-V, Skoda Yeti, and SsangYong Rexton. You can know more about the new Tucson here. The new-gen Hyundai Tucson is built on the popular Fluidic Sculpture 2.0 design language with several of Hyundai's latest styling cues seen in its latest offerings. Up front, the car features the larger hexagonal grille with Chrome slats flanked by sharp projector headlamps. The beefy bumper is well-sculpted and houses a pair of stylish horizontal LED fog lamps and LED daytime running lights below them similar to what we have seen in the new Elantra. The cabin of the new Hyundai Tucson gets dual-tone black & beige treatment with fabric upholstery on the base trim and leather upholstery for the higher trims. There is a well-laid-out dashboard with a multifunctional steering wheel and the feature list includes - dual-zone climate control, rear AC vents, 10-way power adjustable driver seat, and keyless entry. Standard convenience features available across all trim levels include automatic headlamps, puddle lamps, and cruise control, while the top-end variants also get powered tailgate with height adjustment and electric parking brake. Hyundai is also offering its new Drive Mode Select feature, which allows the driver to opt from three available modes - Normal, Sport and Eco. As far as safety features are concerned, the new Tucson comes with dual airbags and ABS with EBD as standard across variants, whereas, higher variants get side and curtain airbags as well. Other safety features include electronic stability control (ESC), vehicle stability management (VSM), hill-start assist control (HAC), downhill brake control (DBC), brake assist, rear parking camera dynamic guidelines and rear and front parking sensors. Under the hood, as mentioned before, the new Tucson comes with a 2.0-litre petrol and a 2.0-litre diesel engine. The four-cylinder dual VTVT petrol unit develops 153bhp at 6,200 rpm and a peak torque of 192Nm at 4,000 rpm. The diesel unit, on the other hand, is a four-cylinder CRDi engine that churns out 182bhp at 4,000 rpm and develops a peak torque of 400Nm @ 1,750-2,750 rpm. Both engines will be available with a 6-speed manual or a 6-speed automatic gearbox. 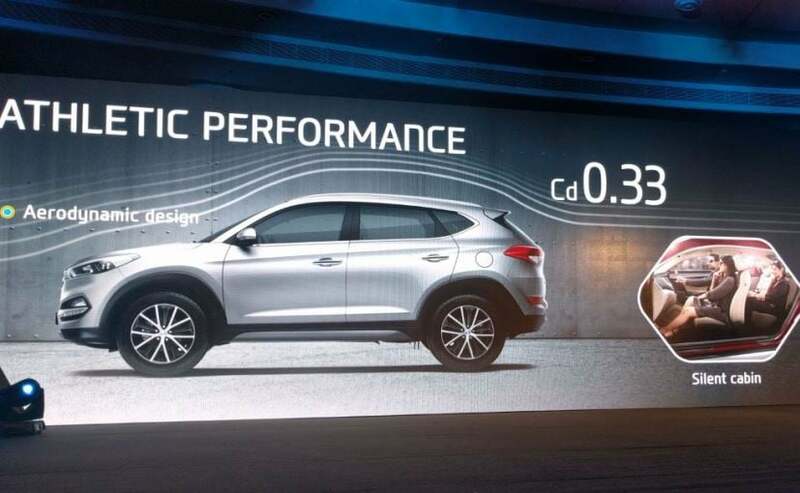 Hyundai claims that the petrol variants return a fuel efficiency of 13.03 km/l in the manual trim and 12.95 km/l in the automatic version. The diesel variants, on the other hand, are said to return 18.42km/l in the manual and 16.38km/l in the automatic trim. All variants come only with a 2-wheel-drive (2WD), while the 4WD will come next year.